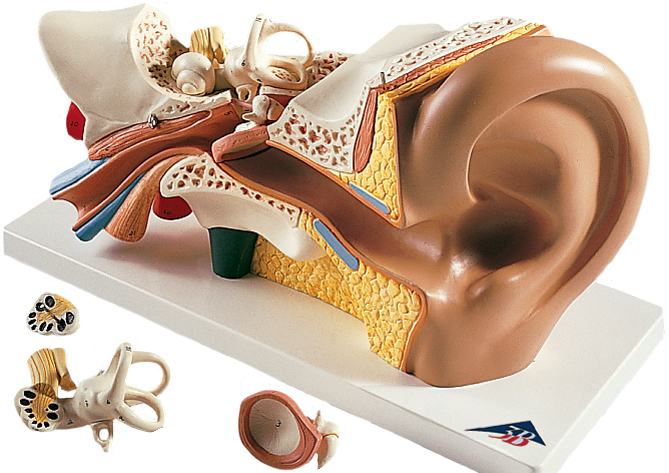 Three times life-size, this anatomical model of the human ear provides a faithful and highly detailed representation of the outer, middle and inner ear. 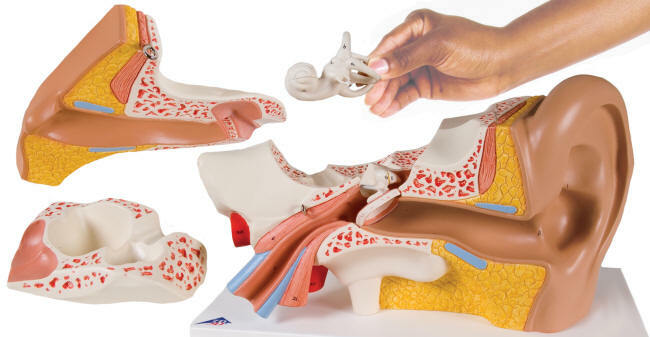 Removable eardrum with hammer, anvil and stirrup, as well as 2-part labyrinth with cochlea and auditory / balance nerve. Comes with base. 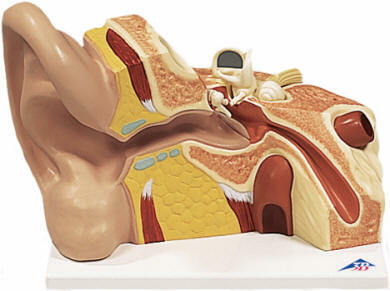 Same as above, but with two additional removable bone sections to close the middle and inner ear.